If there is one thing certain about your Volkswagen, it is the fact that with time it is bound to experience wear and tear. With so much driving everyday along roads of different kinds, there will be several instances when the exterior parts of your car may get damaged, with the windshield being most prone to physical damages. The windshield or the windscreen of your car is the safety gear that can offer lifesaving protection to you and your family during the drive. While it does that, there can be several times that the windshield can get minor and major damage in the form of cracks and chips. In such situations, it is best to consider prompt Volkswagen windshield repair in Toronto and ensure yourself a safe drive. Talking about damage to your Volkswagen windshield, it can be caused due to major accidents that involve crashes and collisions as well as minor incidents such as road debris or rocks hitting the windscreen. In either case, the intensity of the damage will determine whether chip repair service is needed or you will have to opt for Volkswagen windshield replacement in Toronto. When considering repair work on your car’s windscreen, there can be a lot of times when you may come across situations and information that is not always correct. Here are some of the most common windshield repair myths busted. This is a very common misconception. Car owners usually avoid repairing smaller cracks and chips as they believe it is an expensive affair and they might as well do without it as the crack is quite small. The fact here is that the sooner you get the windshield repairs, the more cost-effective it would be. Also, ignoring the damage, even if it is a small crack, can lead to bigger damages. When your car’s windshield gets damaged, windshield replacement is not the only solution. Some basic repairs can help you just good enough. The point to take note of here is that not every crack or chip will require windshield replacement. Hence, before you consider a replacement, have the windscreen damage evaluated by a professional, who may suggest you some inexpensive repairs instead. Windshield repair specialists can help you with basic repairs as well as do a complete windscreen replacement for your car. You need not visit your car dealer for small cracks or rock chip repairs for sure. You end up paying for the repairs…right? It is not always that you will have to bear the expenses related to the windshield repair. Most car insurance policies cover some of the costs associated with the repair and replacement of windshields. Check your policy details to get a better understanding on the expenses that you have to bear and those that are covered. Apart from the above myths, another common misconception that car owners have is that all types of cracks and chips on the windshield are the same. That’s not the case. There are different types of rock chips and each needs a different kind of repair work. 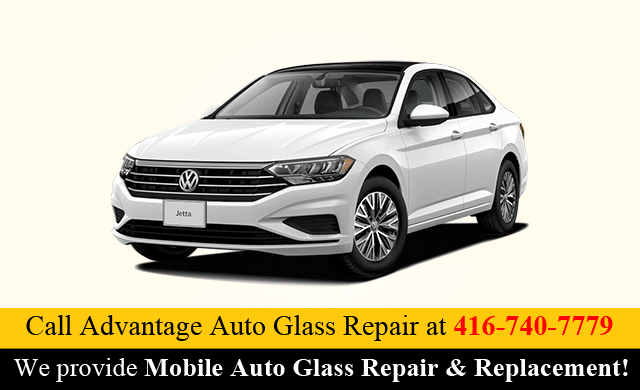 Give us a call at (416) 740-7779 to know more about Volkswagen windshield repair/replacement services in Toronto. Our polite and knowledgeable representatives will be glad to help you.